Caring For The Caregiver in January received a $2,500 grant from Wal-Mart!!! And now, in March, a $5,000 grant from EmblemHealth!!! Posted in Info by admin1. Comments Off on New funding! Posted in Info by admin1. Comments Off on WOULD YOU LIKE TO HELP FINANCIALLY? You the caregiver need caring too! When loving is not enough! Learn about counseling for the caregiver! Speakers: Rev. 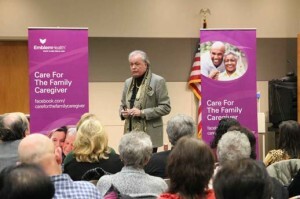 Greg Johnson, President’s Committee on Family Caregiving, Craig Jennings, founder of Caring for the Caregiver will address the problems you are going through. Local Caring and Healing Support Group coming soon. 25 page color manual on services and organizations for Caregivers like you. For location map : www.caringforthecaregiver.org/events. The program is non-sectarian, non-denominational, and absolutely FREE to those who pre-register at 516-798-1122. 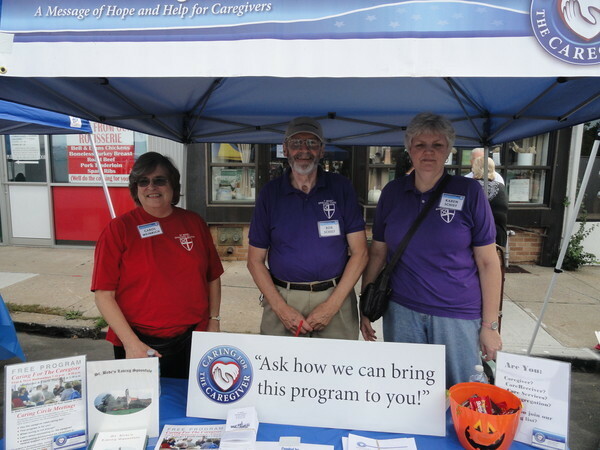 Caregiving Team at the Syosset Chamber of Commerce Street Fair. eCareDiary‘s Co-founder Susan Baida spoke to Craig Jennings, Founder of Caring for the Caregiver that creates support groups in collaboration with community organizations. Caregivers use their caregiving skill on one another. Upward Movement on the graph indicates healing. Each chart displays a participant’s healing progress, session by session. Each data point is an average of his/her comments during a single session. Level 1 Victim The whole world’s against you and there is no way out. Level 2 Complaint The caregiver expresses unhappiness or dismay at his/her situation. 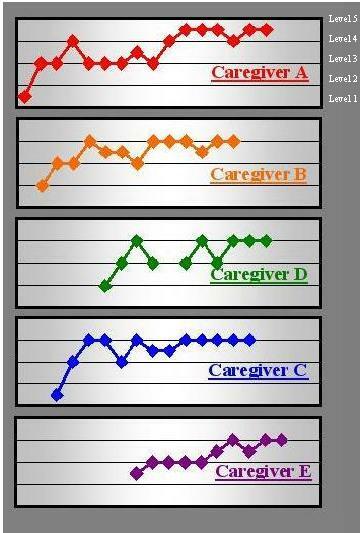 Level 3 Reporting The caregiver is just reporting facts. Level 4 Insight, Humor, Intention to Act The caregiver sees a brighter picture, and is thinking about making changes. This is described as a Likert Scale, and is an acceptable method for documenting attitude change. What we are so pleased to see is that Caregivers use their skills on one another, with such remarkable effect! Champagne for Caring For The Caregiver! At the start of this year, our team we committed to creating 5 Caregivers’ Fairs and Caring Circles on Long Island. Yesterday, we solidified commitments to keep that promise. We started out with a fair in Syosset in March. We have one in development , July 7, in Smithtown. In Oyster Bay in September, Massapequa in October, and Medford in November. Caregivers can get ongoing support and new understanding about being a caregivers. Posted in News by admin. Comments Off on Champagne for Caring For The Caregiver! 60 plus caregivers evaluated this as the best-ever. 5% thought the program was good, 95% thought it was excellent to great! This is a great group. This is exactly what I want. Loved the Round Table – healing. Thank you for remembering that I have worth and I am able to assist others by taking better care of me. Learning a little more about remembering “I’m a person too.” Atmosphere of warmth and caring, excellent resources of information, exhibitors seemed sincere, professional and caring. Want to hold programs at my church – use help for myself. 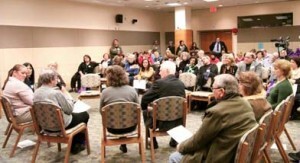 A roomful of 80 Caregivers assembled on Saturday, March 12, 2011, from 9am to 1pm, to hear about new options for Caregivers at Syosset, at 220 Berry Hill Rd., Syosset, NY 11791 . The keynote speaker was the Rev. Greg Johnson, from Emblem Health, followed by Craig Jennings, creator of Caring For The Caregiver. These programs are supported entirely by The Bishop’s Committee of St. Bede’s Episcopal Church and are non-denominational and non-sectarian. Posted in Events by admin. Comments Off on Caregiver’s Fair! 1. Money is new. 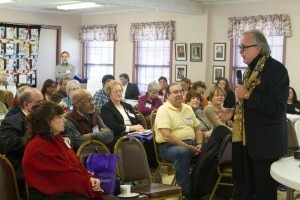 Last year we put on one Caregiver’s Fair and set up 1 Caring Circle at St. Bede’s Episcopal Church in Syosset. The Caregiver’s Fair attracted 82 people, the Caring Circle has served 160 attendees since then. To accomplish this, the Bishop’s Committee at St. Bede’s offered $5,000 in funds- the money came out of the member’s pockets. In December, a series of Grant Applications magically bore fruit. Now we are paying back the Bishop’s Committee completely. And we can also create 5 communities which will see a Caregiver’s Fair and support a Caring Circle. And we will be able to subsidize significantly the cost of those 5 programs!!! 2. More help is new. We’ve received approval to take on 2 interns, who we will put to work searching out and preparing grant applications to fund 2012. Will this mean even more income this year? 3. More space is new. We’re creating a new office in Syosset to house those interns. Time for power-drills and paint! We need to have the room set up in 2 weeks. 3. Bigger goals is new. Perhaps 10 programs in 2012? 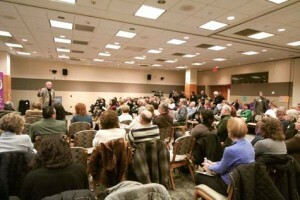 Our long-range goal is to create a resource in every community on Long Island. That may take a while, but we’re cooking! 5 Angels are new. At a Christmas Caring Circle meeting, Karen Schief handed out little label pins – depicting an angel. Last. night, Bill confided that he’d taken the little pin home to his wife, his care-receiver, and offered it to her. She smiled and declined: “no, you are my angel, Bill!” Caregiving is very good stuff! Posted in News by admin. Comments Off on What’s new? Get this. The Caring Circle is expanding. In April, we started the Caring Circle with 4-members. We’ve had steady growth. In October, St. Bede’s bought a bigger table to handle the additional people. Now we’ve had to schedule an afternoon session – we have16 people regularly attending. Here’s the schedule: To end of this year, evening sessions on December 1 and 15 at 7:30pm, afternoon sessions on December 2 and 16 at 1:30pm. Starting in January, evening sessions will be scheduled the first and third Wednesdays, Jan 5 & 14, afternoon session scheduled the second and 4th Thursdays, 13 and 27. All are welcome. Please call 516 971-0755 to let us know you’re coming. Address is St. Bede’s Episcopal Church, 220 Barry Hill Rd., Syosset, NY 11791. Posted in News by admin. Comments Off on The Caring Circle is expanding.